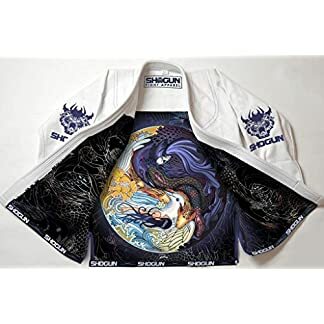 COMPETITION GRADE – this top quality Brazilian Jiu Jitsu BJJ Gi is made of 550 GSM double pearl weave pre-shrunk 100% cotton fabric. 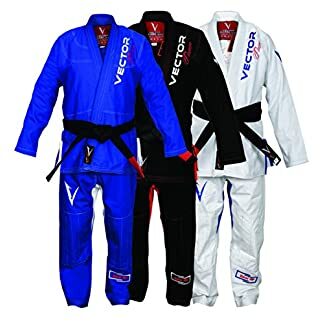 Pants are 10 oz reinforced Ripstop. 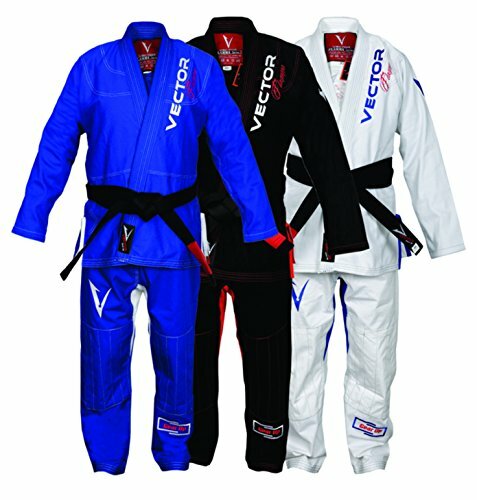 No patches, only top quality Compact Stitch Embroidery on this attractive Gi. 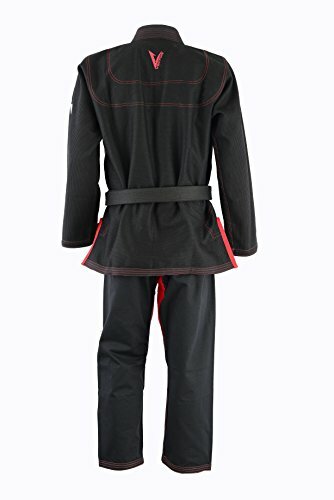 This is one stubbornly durable Kimono and you don’t have to worry about shrinking. 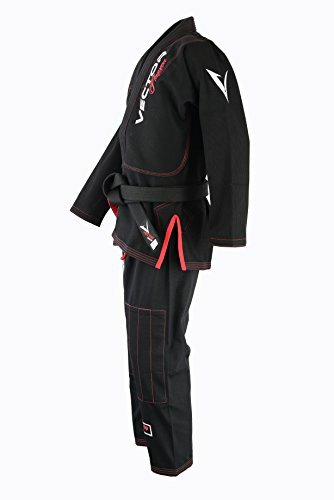 INNER LINING – this Jiu Jitsu Gi features strategically placed soft inner fabric lining for rash protection and extra comfort. 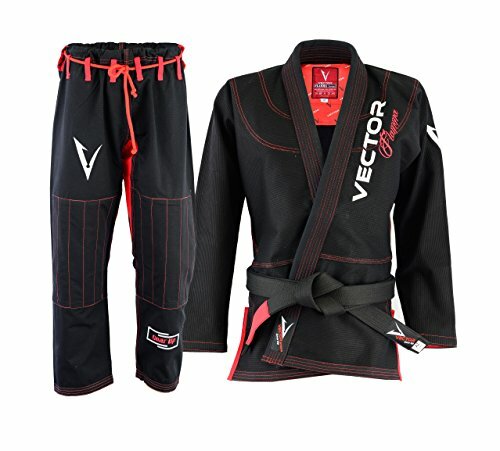 QUADRUPLE STITCHING – the cuffs and borders of this BJJ Gi are quadruple stitched for extra strength. 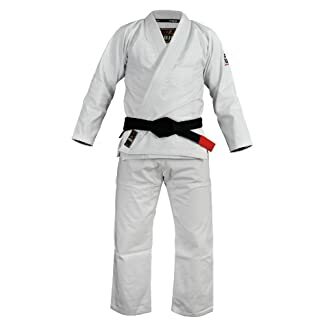 This Gi is stubbornly durable. 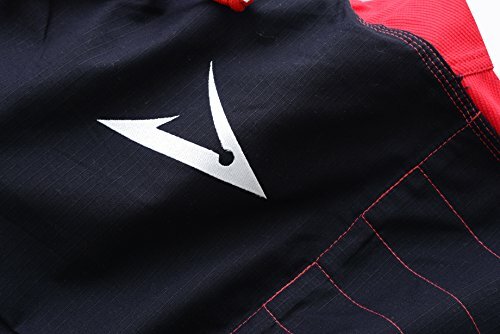 It is made of pre-shrunk fabric so you don’t have to worry about shrinking (please wash in cold water only and hang dry). 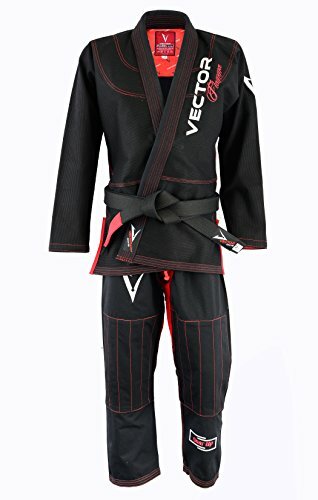 BJJ Kimono by Vector Sports has heat resistant rubberized collar containing high tech EVA foam along with 6 lines of stitching which will not be easy for your opponent to grip. 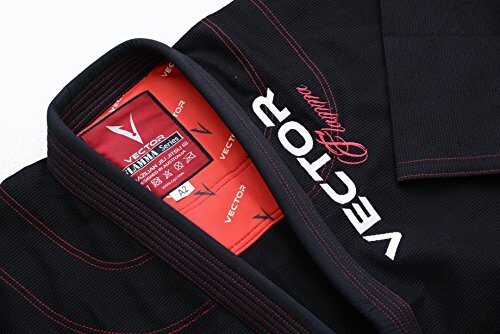 Vectors Sports Kimono has a slightly tapered athletic cut without excess bagginess which fits almost all body types. 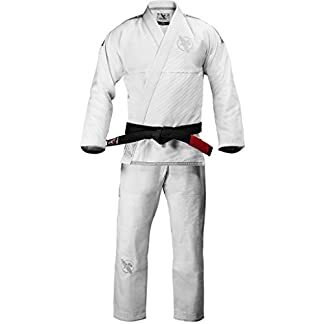 Double reinforced knees and hips of this kimono provide you extra support. 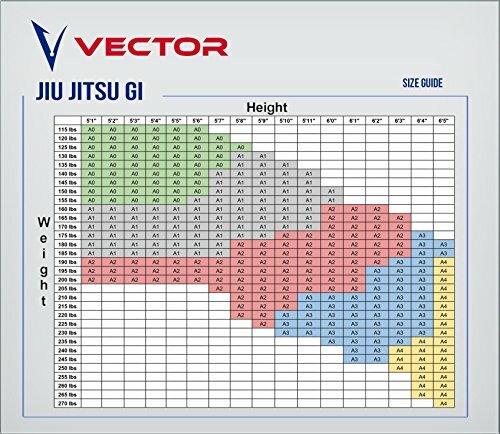 Please refer to the photos for size chart. 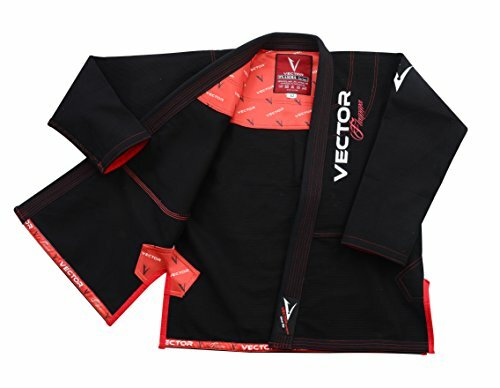 ANTIMICROBIAL & ANTI-ODOR – Vector Sports Brazilian Jiu Jitsu Kimono is made of antimicrobial and anti-odor fabric to avoid allergy, fungal and bacterial infections and odor.